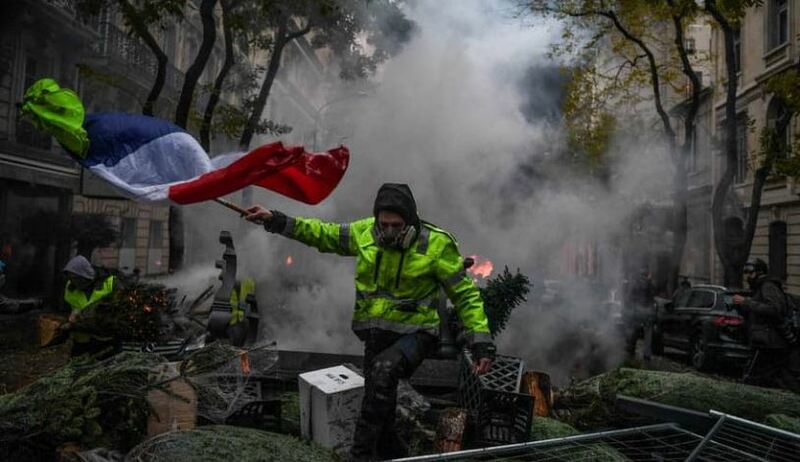 France: ‘Yellow Vests’ rail at police violence and rightfully so……. – The Tundra Tabloids……. France: ‘Yellow Vests’ rail at police violence and rightfully so……. Where’s the media in highlighting the state’s over-the-top response to these protestors..? Previous Post Previous Post Daniel Greenfield: Why free speech on the web – as we once knew it – will be over within a decade……. Next Post Next Post Finland: Helsingin Sanomat poll shows overwhelming majority of Finns view sexual offenses closely related to different culture and religion of immigrant…….